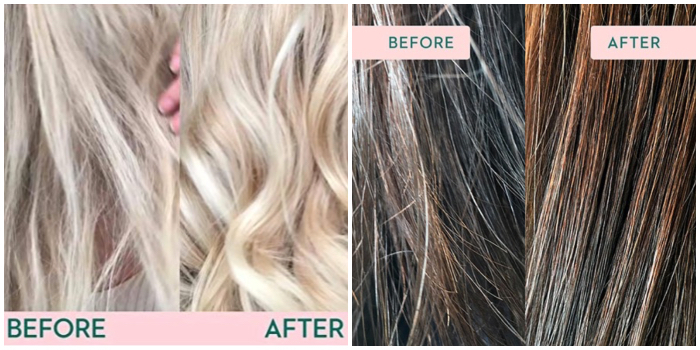 Look no more damaged hair sufferers, your new favorite (miracle) hair mask is here! I recently tried Coco & Eve’s super nourishing coconut & fig hair mask to see what the hype was all about. Now I know. I knew about 30 seconds into the application that this was going to be praise-worthy. I immediately felt a difference in my strands, and once it was dry, I could not stop running my fingers through it because it felt so silky soft. As someone who has always struggled with dry hair, then due to the damage from being a blonde, I am always battling the repercussions. Coco and Eve has seriously transformed the health of my hair and I am forever grateful. This mask is for all hair types. So, if you are struggling with dry and damaged hair, or maybe you are just looking for a maintenance mask, this is your new love. 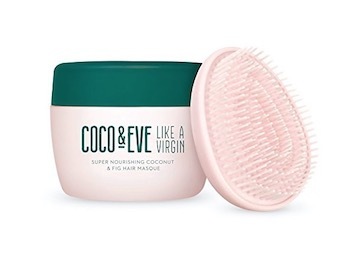 If that’s not enough, here are a couple of other reasons Coco and Eve is winning awards and quickly becoming a favorite in the beauty industry. It’s vegan/cruelty free. Their	ingredients are sourced from Bali, Hawaii and the US. They work with local specialists and thoroughly research the source and ingredients to make sure only quality and ethical ingredients are used. Making them PETA approved! No icky things like sulfate, phthalate, gluten and it’s paraben free. The coconut oil covers all bases, helping promos an overall healthy scalp. The fig and shea butter are a power combo to detangle and moisturize without weighing the hair down. Linseed improves gloss and texture to make your strands smooth and silky. Argan oil treats split ends and tames frizzies to make your hair more manageable, while also adding gloss and shine. It’s super simple to use. 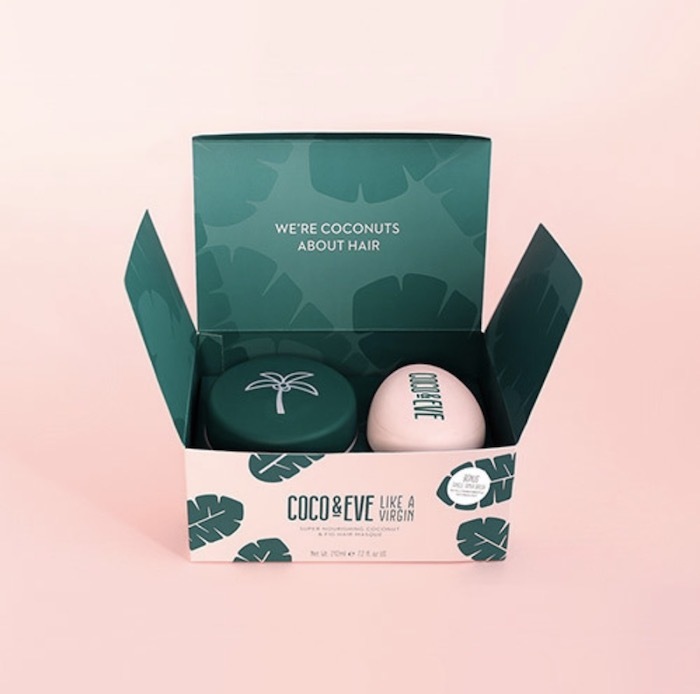 Coco and Eve recommends that you use a sulfate-free shampoo first (sulfates are what causes foam, and foam is super drying) then apply a generous amount of the mask from the roots to ends. Then brush through with the detangling brush they provide, and allow to penetrate for at least 10 minutes. You can also apply to dry hair before you shower, and even sleep in it for some heavy duty treatment. If you take that route, always use a shower cap or silk scarf while sleeping. Then shower and shampoo per usual. Are you ready to try it for yourself? Click to shop Coco and Eve HERE!